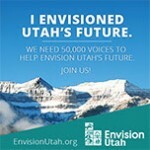 Envision Utah needs 50,000 Utahns to share their voice in its Your Utah Your Future project. The group is seeking input on a variety of issues affecting Utah’s future, including energy, infrastructure, and water as we plan our growth through the year 2050. Reserve your slot now. There was a time, not many years ago, when global warming was the bailiwick of outspoken environmental weirdos. Not so anymore. Climate change is here to stay, and it’s time we acknowledge it. 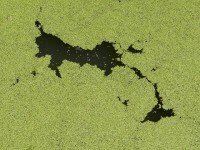 Nutrient pollution is a well-known problem in Utah’s lakes and reservoirs. The trend I observe is that the worse the problem gets, the less willing some are to fix it.